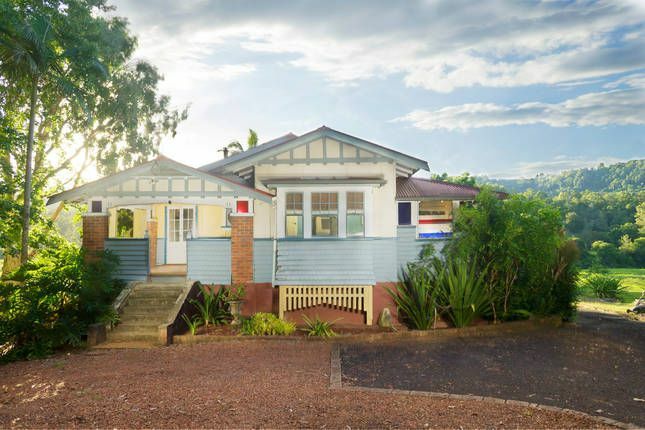 It provides a central base to explore the Rainbow Region of Byron Bay and the Northern Rivers with beach and rainforest and all the markets and villages such as The Channon within easy reach. * the adjoining Black & Gold bedroom (pictured) has twin single beds & can be booked on twin-share basis for the extra person charge. It has a vanity unit, full-size Deco wardrobe with full-length mirror, bedside table and lamps and French doors leading onto the North Veranda which connects with the Master bedroom. A sofa bed with an inner spring mattress can sleep one extra person in the lounge room for the extra person charge below. * large salt-water pebble-dashed pool with steps wide enough to sit upon leading into the pool near the covered sun deck and surrounded by tropical gardens with mountain views exclusively for residents during the swimming season. RainbowStay is a self-sustaining house leaving a negative carbon footprint (carbon sink) with a Grid Interactive Dual Electricity supply of a 4.75kW solar array on the roof. RainbowStay is already self-sustaining for all sweet water, waste water treatment & disposal, fuel for winter heating and waste management. A forest is maintained on the property as a carbon sink to compensate for petrol & gas usage. The smallholding is undergoing regeneration by the resident owner from a degraded cattle property and is registered with Land for Wildlife and a member of the Wildlife Land Trust of the Humane Society International. Trained pets are welcome at RainbowStay with prior notice. Food and water bowls are provided in secure enclosures and pets are welcome indoors. A small tariff of $30 each pet or $10 each pet for stays of 3+ nights is payable for the facilities and for the pest control, extra cleaning, sanitising & deodorising needed for the comfort of our not-so-pet-friendly guests and allergy sufferers. On verandas using ashtrays provided. Large saltwater pool available strictly for residents from 1st September to 1st May during daylight hours. Charges apply for non-residents in the pool area. We had a wonderful time and Geoffrey was a wonderful host. Rainbow Stay is a one of a kind destination for sure! The location is magical, set in stunning green valleys of farmland and bush. If you need to get out of the city it is exactly what the doctor ordered. The house itself is old, quaint and spacious with 2 balconies to enjoy the views from. Don't expect 5 star, this is an OLD farm house not a resort. That said, one of it's best features is the salt water pool you don't have to share with anyone. Our kids lived in the pool, and we spent many peaceful hours supervising from the lounge chairs and catching up on lots of reading and relaxing. We took our own portable BBQ and would recommend to others to do the same. The microwave and gas stove top in the kitchen work well, however the electric oven is a bit of a lottery so we avoided it and just spent the week bbq-ing on the huge open air veranda which was wonderful. Who wants to cook on holiday anyway! I can't rate the location high enough, it is so peaceful and scenic, yet close enough to amenities to be easy. The area is huge fun to explore, waterfalls and markets etc. We loved our stay. A picturesque rural setting provided a comfortable base for day trips. The house comfortable with plenty of space, full of old world rural charm. Our host, in passing one of the house balconies, upon which we sipped glasses of wine stopped to chat. Abreast of much local knowledge, he rendered a deep knowledge of aboriginal heritage, places to visit in and around the volcanic rim and of the wildlife in the area. Also if you like gossip - local politics. Rain forest walking is spectacular. This is a vindictive, false, sour grapes review by a guest who left before she was evicted for disturbing the neighbours with her unauthorised overnight visitor parking in their front yard and refusing to move the vehicle when asked, breaching the rental agreement by bringing a dog into the house without permission, having unauthorised visitors stay overnight and refusing to pay for the extra person and dog. items such as towels were also missing after they vacated. The guest has been listed in hospitality industry Guests Not Wanted databases. Great place for a country getaway close to the Gold Coast. Wonderful north facing verandah where you can soak up the winter sun. Geoff and his lovely four legged friend Marbell make you feel very at home.